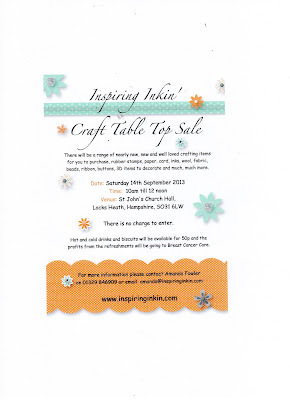 My upline, Amanda, is organising a craft table top sale and I've got a table with lots of Stampin' Up! retired stamp sets, papers and other unused items for sale. 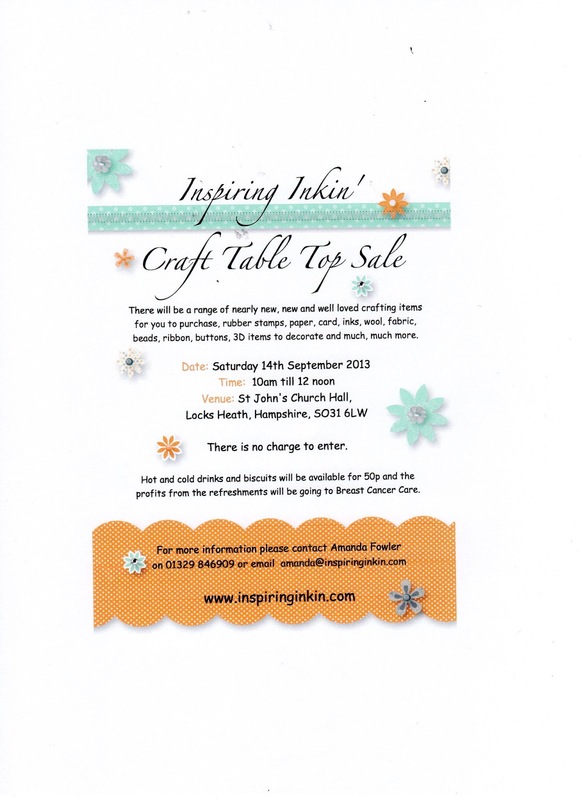 There will be lots of other bargains to be had of nearly new, new and well loved crafting items for you to purchase i.e., rubber stamps, paper, card, inks, wool, fabric, beads, ribbon, buttons, 3D items to decorate and much much more. There is no charge to enter. Hot and cold drinks and biscuirts will be available for 50p and the profits from the refreshments will be going to Breast Cancer Care.